Want to be notified of new releases in adminfaces/admin-starter-security? A AdminFaces sample project using JavaEE 8 security API. The application has two users configured via Custom IdentityStore, see here. admin@faces.com user has role admin. user@faces.com user has role user. 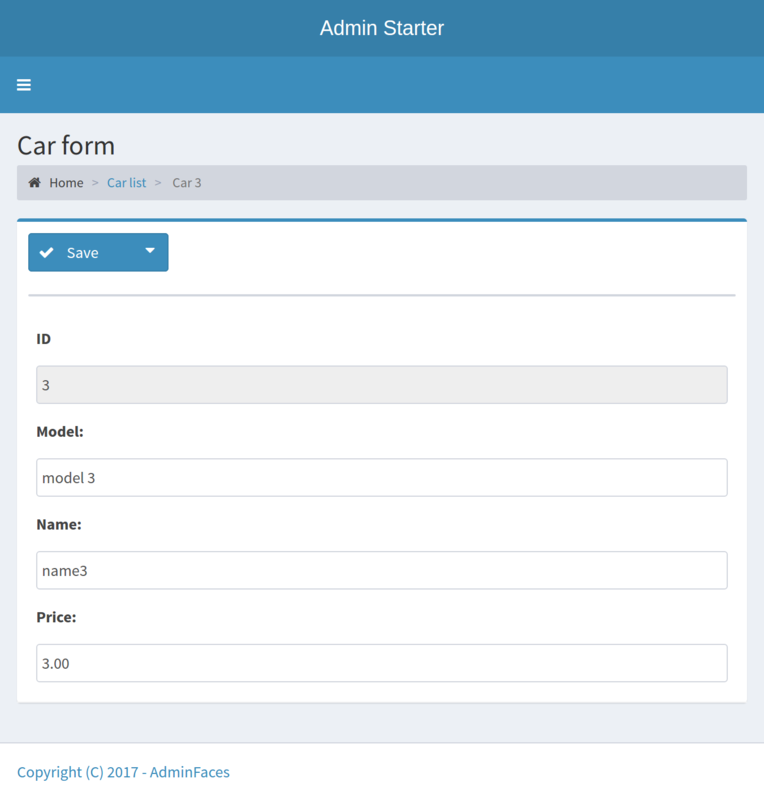 Admin user with role admin can access any page while role user can access only pages under /pages path (only car-list page). See url security constraints. 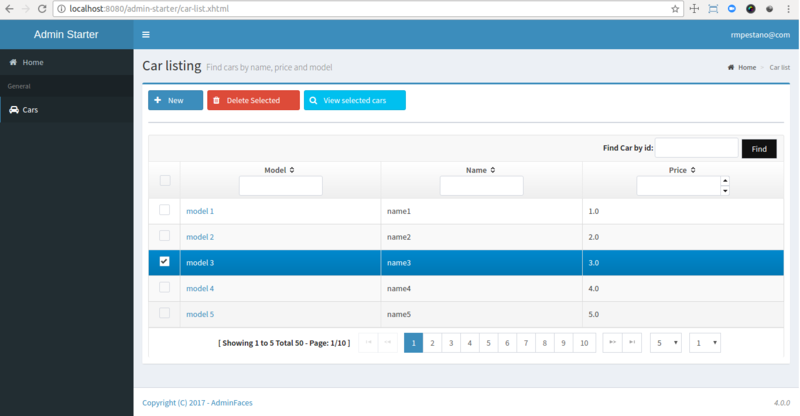 Admin have permissions for all CRUD operations on top of Car entity while common user can only view/list cars. At method level @RolesAllowed("ADMIN") annotation is used. Try using uncommenting finById rolesAllowed on carService here and use find by ID on car-list page with non admin user, it should redirect to Access Denied page. It should run in any JavaEE 8 application server. It was tested with WildFly 13.0.0 using ee8-preview mode and Glassfish/Payara 5.